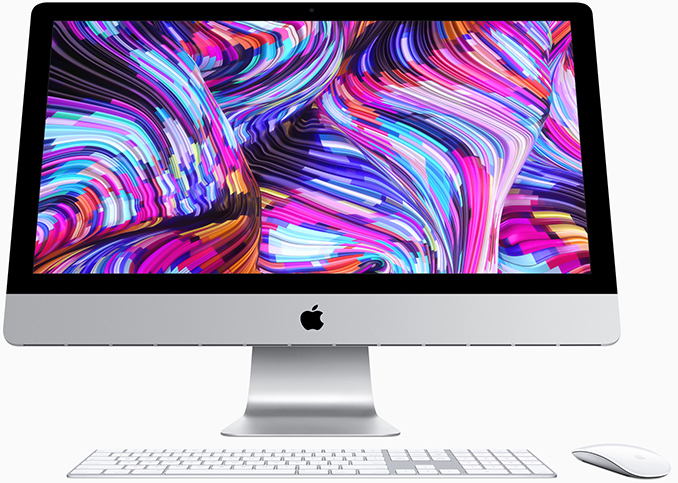 Dimensions Width 52.8 cm | 20.8" 65 cm | 25.6"
Height 45 cm | 17.7" 51.6 cm | 20.3"
Depth 17.5 cm | 6.9" 20.3 cm | 8"
Also updated is the iMac Pro, which uses Intel's Xeon-W line of processors. The biggest jump in this line of products is the DRAM capacity, with Apple now offering a 256 GB DDR4 option. In order to get this option, users will have to pay an extra +$5200 above the cost of the default 32 GB configuration, which a number of users have voiced is a lot of money, considering the equivalent 4x64 GB memory layout can be purchased for around $2500. Also offered is an upgrade to the Radeon Pro Vega 64X, although details on what this card has (aside from 64 compute units) has not been disclosed at this point. Based on the '12 TF Single Precision' metric on the Apple Store, it appears that the frequency has increased by 9% over the '11 TF Single Precision' Radeon Pro Vega 64 model. The price difference between the two is $150. 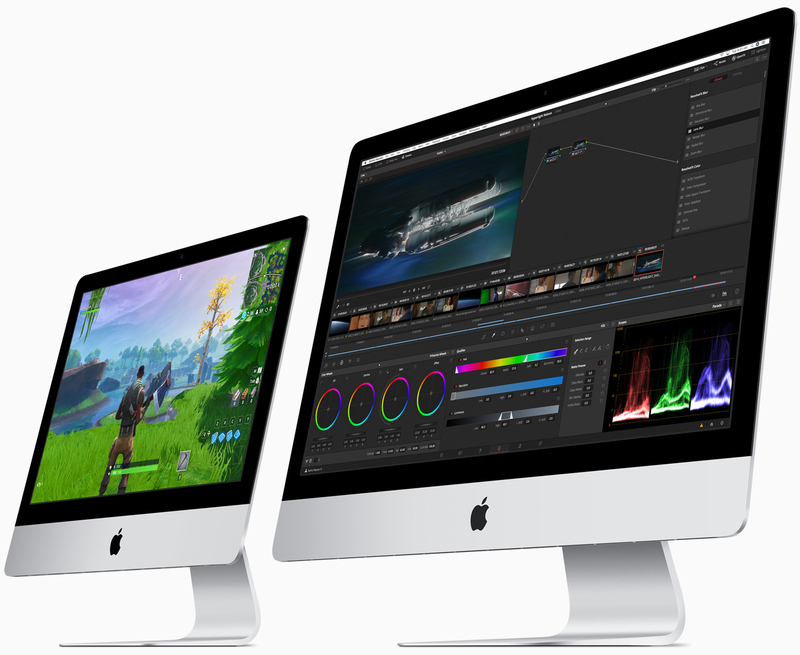 "Top of the line" 8 core with tiny 27' monitor, a lousy graphicscard, minimal ps, 32GB and 1gb SSD and some Apple morsels is 4800 plus tax and gets you medium 2017 performance level.